When the mouth smell, only few people tends to wait or listen because majority will move slightly away from such bad smell of the mouth and we call these bad breath which makes people living with it feel bad. 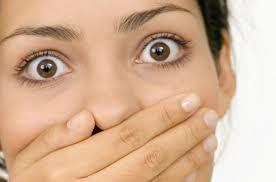 Bad Breath is not so difficult to treat, prevent and its cure are quite cheap compared to other oral related diseases. People tends to experience bad or smelling breath after eating, early morning or when the mouth has been closed for a while but other experience chronic bad smelling breath due to micro-organism in the body that causes the disease. 1. Brush Your Mouth: Popular and the mostly Commonly used dental hygiene is to brush your teeth multiple times a day, probably 3 times per day but the most effective way to treatment or cure for bad breath is try and brush your teeth after eating or chewing any food substance especially chocolate, gum, sweet, snacks or raw food. 2 Mouthwash: Another treatment or cure I will personally recommend for bad breath the use mouthwash. Mouthwashes are cheap and can easily be purchased in the drug or grocery store around you. Mouthwash is very effective because it kills bacteria, kill tooth plaque, gingivitis and also does wonder in making your teeth whiter, healthy and smell good. Halitosis is referred to as the chronic disease that causes bad or smelling breath but what help prevent or reduce Halitosis is to use mouthwash. 3. Reduce Sugary Foods: One of the things that help introduces bacteria or micro organism into the mouth is through sugary substance like chocolate, sugar, cold soft drink, etc. You need to reduce your consumption of sugar foods to keep your mouth, teeth healthy and prevent yourself from halitosis. 4. Visit Dentist: The best way to treat bad smelling breath or mouth is visit the dentist. If people around you begins to tell you that your mouth smells or you notice a case of your breath stinking then just help yourself by making out an appointment with your doctor. Do these things we recommend for smelling breath as we described above and you see the change. Better still, consult your doctor for any observation in which your doctor may refer you to a dentist for better treatment. Thanks for reading.